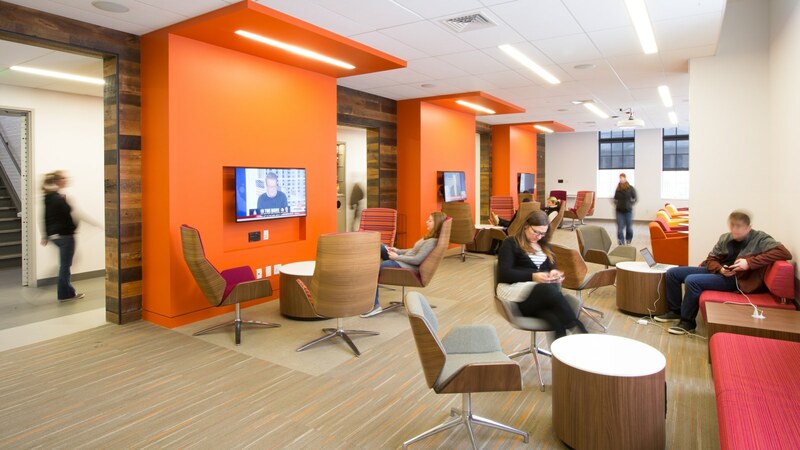 The Harrington Hub for Global Leadership in Communication and Media is a state-of-the-art, $6.8 million facility with cutting-edge learning spaces, video and audio editing suites, a film screening room, and much more. The Good 5 Cent Cigar: Established in 1971, URI’s student newspaper publishes a weekly print version and posts daily updates online. WRIU Radio Station: A broadcast service of the University of Rhode Island, WRIU is managed by a student-run executive board and staffed by many dedicated student and community volunteers. The Broadcast Center and TV Production Studio uses state-of-the-art technology that facilitates experiential learning with all aspects of sound recording, production and broadcasting. The Writing Center, part of the Academic Enhancement Center, provides students with support at all stages of the writing process. The URI Speaking Center offers peer tutoring for students looking to hone their public speaking skills. Center staff uses digital video technology to record and edit student speeches for playback and critique. The Writing and Rhetoric Production Lab is a resource for students and faculty members to collaborate and create face-to-face and digital multimodal writing. The Harrington School of Communication and Media Living and Learning Community at Hillside Hall provides first-year students with a living environment that promotes personal growth, academic success, and an easy and fun transition from high school to college.